The first patent awarded to an African-American woman is poised to help alleviate the 21st century housing crisis. Long before gentrifiers in Brooklyn, San Francisco, and Portland found themselves shelling out big bucks to occupy converted closets, wooden pens, or even the occasional bathroom, late nineteenth-century Chicago experienced one of the nation’s first true housing crises. As newly freed slaves made their way north in the “Great Migration,” the city then known for processing pigs struggled to free up space for a new working class working at new factories, mills, and, yes, meat processing plants. Housing solutions got creative. And some of the more extreme ideas might — in the age of Chinese real estate investment and renewed urban migration — be worth another look. In a ten year span from 1880 to 1890, the population of Chicago doubled from 503,165 to 1,099,850. New jobs were created faster than residential buildings — by a lot. Though developers rushed to erect as many apartment buildings as they could, the surge in demand was so extreme it resulted in a lumber shortage. No surprise then that landlords sought to capitalize on the moment by creating more, smaller spaces. Single family homes were converted in multiplexes. Already cramped single and studio apartment rooms were divided into even smaller quads. Those who were fortunate to find a room at all found themselves in a space either just big enough for a bed and nothing else, or not big enough for a bed frame at all. Luckily a former slave-turned-furniture shop owner named Sarah Goode came up with an ingenious solution: a folding cabinet bed. While little is known about her early life, Sarah Goode and her husband Archibald gained some notoriety in Chicago for building innovative pieces of furniture meant for cramped spaces. In 1885, she became the first African-American woman to ever be granted a patent for her cabinet bed, essentially a roll-top desk, with a hidden mattress and box spring. It offered the occupant not only a place to sleep at night, but functional storage and surface space during the day. Over the next few years, Goode would continue to improve upon her original design, adding hideaway beds to bureaus, dressers, and wardrobes. And while Goode would never capitalize financially on her invention, her designs have been helping space-strapped renters get their beauty rest for the past century. 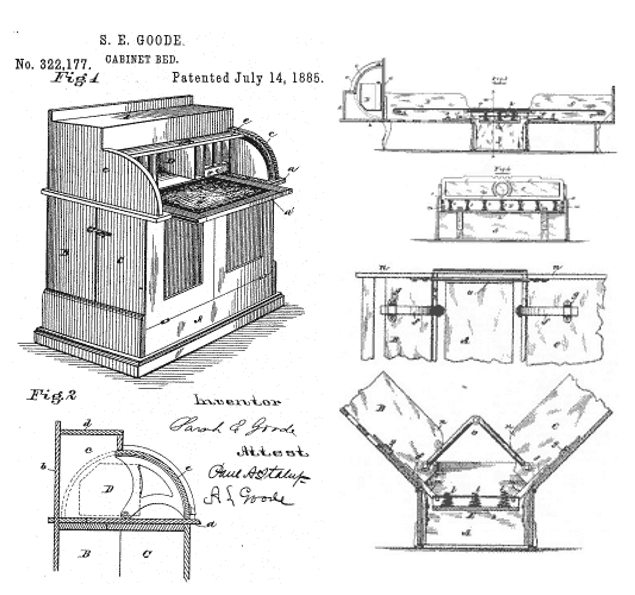 A decade after Goode was awarded her patent, a Washington D.C. barber patented the foldout sleeper sofa. Less than two decades later, the eponymous founder of the Murphy Bed patented his wall-mounted “disappearing bed.” Both designs rely heavily on Goode’s original joint and spring system. 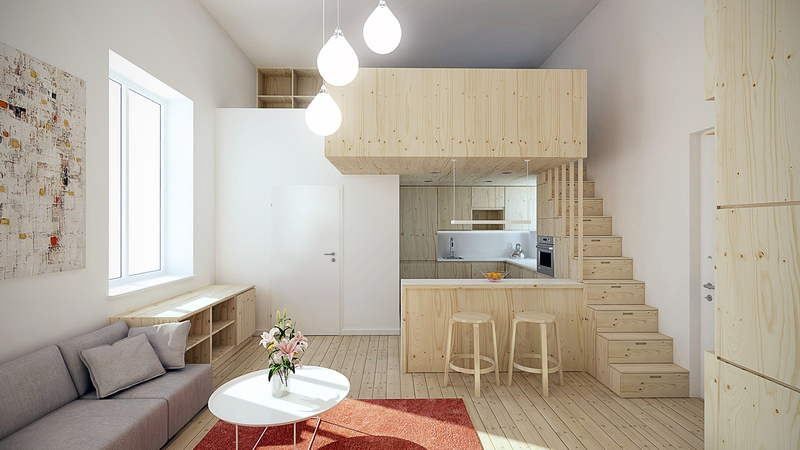 However, as more and more renters in large cities across the world find themselves facing a future of “micro-apartment” living, Goode’s original designs are poised for a comeback. With living spaces so tiny they can’t properly accommodate a sofa or even a Murphy bed, Goode’s convertible desks and cabinets will be as necessary for the 21st century renter as they were for their Edwardian counterparts.